You know the real-deal Holyfield, the soundtrack plays while The Professor works even though The Professor’s work is mainly play. As 7A3 used to say back in the day, “gettin’ paid to play,” and ain’t that a flip because in the music that The Professor’s currently listening to is all about the collage. The surprise juxtaposition. 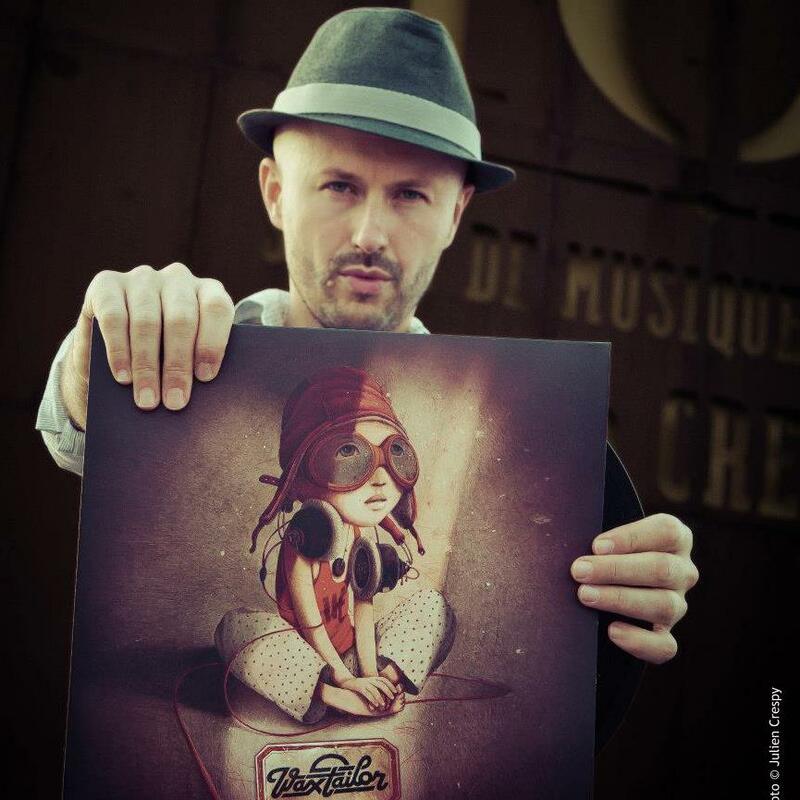 You see, The Professor has been listening to a lot of Jean-Christophe Le Saoût, better known as Wax Tailor. The music is not new but it’s new to The Professor. If there’s a post-credible music sound out there, it’s a lot like WT’s. For one, the samples he puts together aren’t from the same period or decade or medium. Instead, they’re from specific movies from the 1950s – 1970s, specific songs from mid-1980s hip-hop, non-specific riffs from symphonic strings and horns sections, and WT’s own analog tics [the purposeful use of static, clicks, pops and the like [the same way a craftsperson allows their ceramic, glass, metal or wood to show the marks of the maker which individualizes the artifact and makes it more singular, more personal and more precious]. What WT puts together shouldn’t technically work but it most certainly does for The Professor. The vibe is compelling enough to listen to and contemplate on its own [and do nothing else] yet if The Professor’s working on something, it’s not so insistent that it takes his attention away from getting things done. The music works as foreground or background because WT’s deliverable is smart, funny and culturally astute. Although it’s apparent that it has been stitched together, it’s melodic and orchestral. The samples that stuck out to The Professor were the cinematic ones, coming from the dialogue of movies such as Soylent Green, Brazil, Casino, Network, Dr. Strangelove, Sleeper, A Clockwork Orange, Close Encounters of the Third Kind, and One Flew Over the Cuckoo’s Nest; there are too many other movie samples to count or identify. Then there are the musical samples: one sounds like SNL announcer Don Pardo, and then there is Doris Day, Jackie Wilson, Nina Simone, and many recognizable cuts/bits from such hip-hop pioneers as the Beastie Boys, EPMD, Public Enemy, LL CoolJ, A Tribe Called Quest, EricB and Rakim, and 3rd Bass [The Professor’s favorite of all of Wax Tailor’s choices as The Professor listened hard and long to 3B’s The Cactus Album of 1989 and mimed the wordplay of 3B’s Prime Minister Pete Nice/Peter J. Nash and MC Serch/Michael Berrin]. n.b.. Here’s an example of how WT works: on his song “Que Sera,” Doris Day is shown sitting at the piano singing from her original song of the same name which, in turn, is paired with imagery and dialogue from Charlton Heston from Ben Hur and Richard Dreyfuss from Close Encounters of the Third Kind. Similarly, on “Hypnosis Theme,” WT employs the signature nasal commands of Woody Allen in curated syncopation with the beat, with Allen saying “Keep concentrating. Just relax. Just concentrate and make your mind a blank. O.K., relax. Take this seriously…” In its own way, it’s a perfect moment, and perfectly haunting.